Steven Seagal wears Oakley Whisker sunglasses in the 2016 action film Contract to Kill. Seagal wears the same glasses in the movie Maximum Conviction (2012), Absolution (2015), End of a Gun (2016), Code of Honor (2016) and in The Perfect Weapon (2016), Killing Salazar (2016) and probobly even more of his recent films. 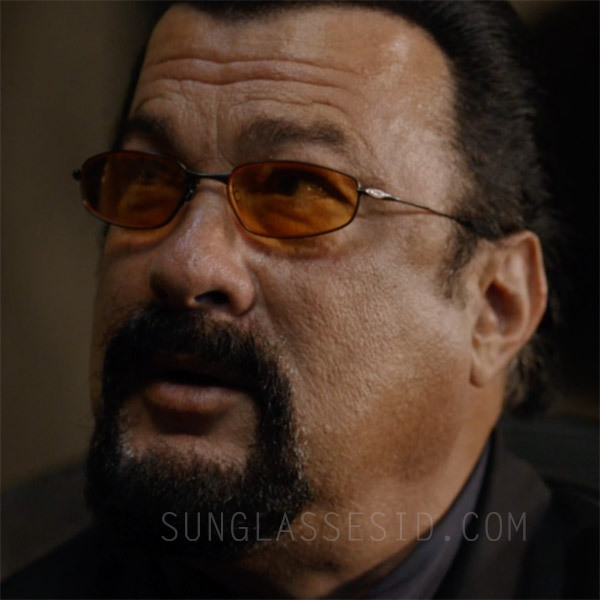 In the same film, Seagal also wears another pair of sunglasses, similar to the Oakley's, but definitely a different frame and brand, see them here. Contract To Kill is a 2016 action/crime film directed and written by Keoni Waxman, starring Steven Seagal, Russell Wong and Jemma Dallender.